Hirokazu Nakagawa joined Mitsubishi Heavy Industries, Ltd. (MHI) in 1984, where at first he worked in the Business development department for Chemical Plant and later in the Business development department for Power Plant. In 1996 he moved to New Delhi offices as Manager. From 1999 to 2009 he was in charge of the Business development department for Power Plant in MHI as Manager and as Deputy General Manager. In 2009 he became General Manager of Mitsubishi Heavy Industries India Pvt. Ltd. In 2011 he became General Manager of Business development department of MHI and also General Manager of Mitsubishi Hitachi Power Systems, Ltd. in 2014. In 2015 he became Chief Executive Officer (CEO) of Mitsubishi Hitachi Power Systems Europe, Ltd. in London, UK. Since 2017 he is Senior General Manager of Corporate Planning & Administration Division, Power Systems in MHI. In 1979 Yoshihiro Shiraiwa joined Mitsubishi Heavy Industries, Ltd. (MHI), one of the world's leading heavy machinery manufacturers. In 1996, he became a Section Manager of Sales Department of MHI Takasago Machinery Works and in 1997 General Manager of the Power Systems Division of MHI America. From 2001 to 2007, he was Vice President of the Sales & Marketing department in Mitsubishi Power Systems Americas. Next, firstly he served as General Manager of the Sales Department of MHI Takasago Machinery Works and later General Manager of the Power Systems International Operations Department of MHI. In 2013, he became President and CEO of Mitsubishi Power Systems Americas and in the following year Executive Vice President of MHI America. Since 2015, he serves as Senior Vice President, Chief Regional Officer for Europe, Middle East & Africa of MHI and President of Mitsubishi Heavy Industries France S.A.S. 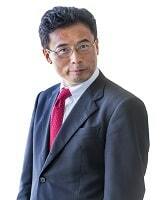 Fumiharu Shimamoto joined Mitsubishi Heavy Industries, Ltd. (MHI) in 1985. 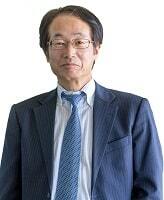 From 2002 to 2011, he was Manager in Power Systems International Business, MHI (Kobe/Headquarters/Takasago). From 2011 to 2013, he held the role of Deputy General Manager at Power Systems International Business Department in MHI Takasago Machinery Works. Since 2013, he has been at first Deputy General Manager, and later General Manager, Business Development & Strategic Planning Department, Energy & Environment in MHI. Paolo Bertuzzi holds a Ph.D. from Università Cattolica di Milano and a degree in Business Administration from the Università di Brescia. 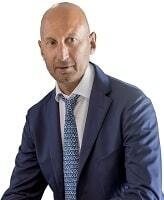 Professor of Risk Management at Economia e Commercio, Università di Brescia, from 2001 to 2006. Turboden quotaholder since 1999 and General Manager in charge of the financial and commercial activities coordination from 2009 up to January 2014. Since February 2014 he is CEO & Managing Director of Turboden. Roberto Bini earned a degree in Mechanical Engineering from Politecnico di Milano. 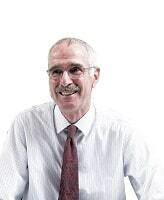 He has been with Turboden since 1984, becoming a company quotaholder in 1989. Since then, he has been deeply involved in company management and development, as General Manager for the Technical Area from 2009 to 2014. Since February 2014, he is Managing Director being in particular responsible of Turboden R&D activities. Mario Gaia graduated in Mechanical Engineering in 1968 at Politecnico di Milano. In 1971 he joined the Research Team of Prof. G. Angelino: together with him he did research on Organic Rankine Cycle Thermodynamics and design. He served as Associate Professor at the Energy Department until 2007, being active in the field of ORC and, in general, in Renewable Energy Technologies Research. In 1980 Mario Gaia founded Turboden. He has been committed to the company all along its growth, with a preference for the technical and scientific aspects, being Managing Director until January 2014. Alessandro Foresti graduated in Mechanical Engineering from Politecnico di Milano in 1968. He began his career in R&D at Alfa Romeo car company, and, later, joined the Techint Group where he worked in Italy, Argentina and Mexico, handling projects for the metal and energy industry. From 1994 to 2000, he was Chief Operating Officer of Techint Technologies (now Tenova). 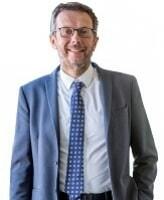 From 2000 to 2002 he was General Manager of Plant & Technology at the steel industry Tenaris and General Manager of Mirant Italia from 2003 to 2005. 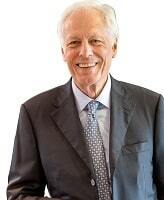 He was quotaholder and Managing Director of Turboden from 1995 up to February 2014. Reliability, innovation and customer orientation are the key words for Turboden, the Mitsubishi reference company for ORC technology worldwide. Our strength is the enthusiasm and the competence of our employees. I am excited of the huge growth opportunities I see in front of us. Our success is the success of our customers. Continuous innovation and creative approach make us able to succeed in everyday business challenges. Innovation, tradition, passion: these are the reasons that move ourselves leading the ORC technology. Make sure to always keep your vision clear and to get it checked by the team regularly. Doing so will give you a clear view of success. Turboden counts about 250 people between employees and co-workers, coming from nearly a dozen different countries. Do you want to develop your career through an experience at Turboden?